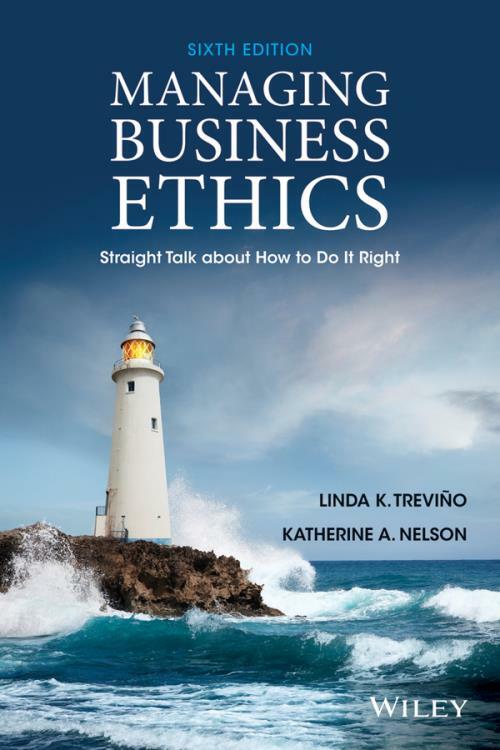 Linda Treviño and Kate Nelson bring together a mix of theory and practice in Managing Business Ethics: Straight Talk about How to Do It Right 6th Edition. In this new edition, the dynamic author team of Linda Treviño, prolific researcher and Distinguished Professor, and Kate Nelson, Professor and longtime practitioner of strategic organizational communications and human resources, equip students with the pragmatic knowledge they need to identify and solve ethical dilemmas, understand their own and others ethical behavior, and promote ethical behavior in their organization. Managing Business Ethics is the perfect text to prepare students for a range of roles in the business world managers across business functions, communications professionals, compliance officers, corporate counsels, human resources managers, and senior executives.